This paper will explore a number of enterprise trends that we have observed over the previous twelve months. After a brief UCaaS market overview and review of the value propositions of today’s cloud providers, the paper will explore the key trends within the enterprise that are proving successful for realizing actual deployments: application prioritization, methodologies to embrace, and roadblocks and challenges to look out for. 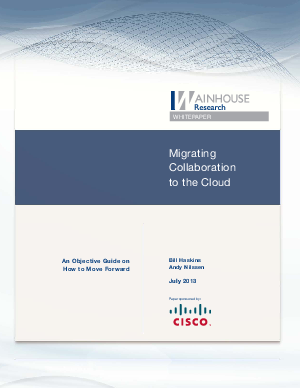 This paper provides a summary of trends and best practices emerging from the early adopters in the next generation of cloud collaboration solutions, and will serve as a guide for the IT team who have decided that cloud based collaboration is right for them but may be unsure as to how to best proceed.